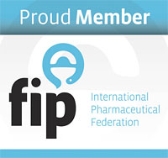 FIP is the global federation representing three million pharmacists and pharmaceutical scientists worldwide. Founded in 1912, the International Pharmaceutical Federation (FIP) is the global federation of national associations of pharmacists and pharmaceutical scientists and is in official relations with the World Health Organization (WHO).Through its 132 Member Organisations FIP represents and serves more than three million practitioners and scientists around the world. Throughout its 100 year history, FIP’s priorities have expanded both literally and figuratively to meet the needs and expectations of the profession in expanding healthcare services and integrating emerging scientific developments. Changes in pharmacy and the emergence of Pharmacy Practice as a cornerstone of the profession have lead FIP to become globally visible for its advocacy on behalf of the role of the pharmacist in the provision of healthcare, while still maintaining its grounding in the pharmaceutical sciences. In parallel, the membership of FIP has evolved to become the most extensive global pharmacy and pharmaceutical sciences network. This network is continuing to expand its presence and influence through partnerships with some of the world’s leading healthcare, educational and scientific institutions. FIP’s highest organ is the FIP Council. In the Council, all national pharmaceutical associations (Member Organisations) and national pharmaceutical scientific associations (Predominantly Scientific Member Organisations) are represented and have voting rights. FIP’s Observer Organisations, supra-national pharmaceutical (scientific) associations, also participate in the Council but do not have voting rights. Find us on Facebook and keep in touch with EPhEU! © 2019 EPhEU - Employed community Pharmacists in Europe. All rights reserved.